It was kind of a big deal last September when, in his final appearance of the regular season, CC Sabathia responded to a head-high fastball thrown at one of his teammates by drilling an opponent of his own. It was kind of a big deal because warnings had already been issued, and Sabathia knew that he’d be ejected for the action, two innings from triggering a $500,000 bonus clause in his contract. He considered it money well spent. At the time, a number of critics (myself included) suggested that the Yankees should pay him anyway. In December, they did. Now the other half of the equation—Rays reliever Andrew Kittredge, whose head-high fastball to Austin Romine, itself a response to various teammates being tagged by Yankees pitchers, initially triggered Sabathia—was similarly relieved of a burden. MLB suspended him for three games at the time, a penalty that it rescinded yesterday. This is especially pertinent since Kittredge has been outrighted off Tampa Bay’s 40-man roster, and a suspension—to be served whenever he returns to the big leagues—would obviate the necessity to call him up for short-term help. Sabathia, meanwhile, is still saddled with a five-game suspension, which doesn’t mean much to a starter who can easily be slotted behind Luis Severino, James Paxton, Masahiro Tanaka and J.A. Happ. Sabathia will likely get his first start bumped back by a day or two, and that will be that. At the very least, it will serve as a tangible reminder of the lengths he’s willing to go to to stand up for his teammates. Was Tipping Pitches To Blame For Severino’s Awful ALDS Start? They’re saying now that Luis Severino’s dismal start against the Red Sox in Game 3 of the ALCS—you know, the one that Boston ended up winning, 16-1—may have been compromised by tipped pitches. According to Fancred’s John Heyman, various Yankees heard “chatter” about it from folks around the Red Sox. (Important to note that Heyman used the word “people,” not “players.”) The possibility was noted on the Red Sox broadcast by Lou Merloni, and Jackie Bradley Jr. was caught on camera, in the dugout, calling for a fastball moments before Severino delivered one. Hall of Fame spitballer Burleigh Grimes was done in by his cap. Although he shielded the ball with his glove to keep hitters from knowing whether or not he was preparing for a spitter, members of the Phillies realized that the brim of his hat—visible above the top of his glove—would rise when he opened his mouth to spit, and laid off the ensuing pitches. It worked beautifully, at least until the pitcher wised up and got a bigger cap. Picking up tells can be a veritable art form, with master practitioners noticing things about a player that escape even their most astute. Bob Turley, for example, in addition to being a great sign thief, could also pick up tells better than almost anybody in the game. If this is true it gave the Red Sox a huge advantage, allowing them to lay off as Severino’s devastating slider sailed outside the strike zone. On one hand, this is supported by fact: According to CBS Sports, Boston hitters offered at only six of the pitcher’s 15 sliders on the day, a 40-percent rate that’s lower than the 47.2-percent rate he posted during the regular season. On the other hand, if one Red Sox hitter had swung just once more at one of those pitches, the offer rate against him would have been effectively the same as it had all season. Still, Severino virtually abandoned the pitch toward the end of his outing, throwing only two sliders across the final nine hitters he faced. That left him with only a fastball and a changeup, and as we’ve long since learned, fastball pitchers—no matter how potent the fastball—have a difficult time surviving in the big leagues without a potent breaking pitch to accompany it. Whether the right-hander was actually tipping is up for debate. Severino’s splendid first half—a 2.10 ERA with 132 strikeouts against only 26 walks, and six homers allowed with a 15-2 record over 17 starts in the season’s first three months—contrasts starkly with his final three months: 5.20 ERA, 88 whiffs and 20 walks, 13 homers over 15 starts, a 9-6 record. But here’s the thing: Hitters were waving at his slider at almost exactly the same rate all season. By this metric, anyway, Severino’s late-season failures had nothing to do with him fooling them less. The fact that he lost nearly a mile-per-hour off his fastball between his June peak and October might have more to do with it, or that his slider’s movement across the strike zone steadily decreased as the season wore on. The Yankees, of course, aren’t talking, and neither are the Red Sox. Trade secrets like this are valuable commodities, after all. One thing to be certain of, however, is that if Severino was tipping, the Yankees will be all over it this off-season, and come spring training the righty will have something to work on in addition to his regular regimen. In the world of pro sports, money frequently equates to respect. In major league baseball, a team coming up with big contract dollars for a player shows—in the eyes of an abundance of those players—that he is respected. Alternatively, if a team presents budget constraints during negotiations, it shows that they do not. Look no further than escalating salary clauses that guarantee a player will sit at a given rank among the highest-paid in his sport; they are less concerned with how much a player makes than that he rates highly among his peers. It’s an easy way to insure more money, of course, but it also insures respect. Which is what makes CC Sabathia’s decision yesterday all the more remarkable. For a moment, anyway, money didn’t equal respect in baseball. Quite the opposite. In the sixth inning, two frames from triggering a half-million-dollar contract bonus in his final start of the season, Sabathia opted to stand up for his teammates by drilling a member of the opposition. With warnings already in place from an earlier incident, the pitcher knew he’d be tossed for it. He didn’t care. In question was a fastball thrown a half-inning earlier by Rays right-hander Andrew Kittredge, at Yankees catcher Austin Romine—as obvious as a retaliatory pitch can be. It was ostensibly in response to the compounding numbers of Tampa Bay players being drilled by New York pitchers. On Tuesday, Luis Severino hit Tommy Pham. On Wednesday, Masahiro Tanaka hit Kevin Kiermeir, fracturing his foot. Yesterday, one inning prior to Kittredge’s response, Sabathia hit Jake Bauers. None of those drillings appear to have been intentional—Sabathia’s pitch was an 87-mph two-seamer that broke in on the hitter’s hands—but at some point it’s tough to criticize a team for wanting to respond. The primary problem with Kittredge’s pitch lay in its execution—it was a first-pitch fastball fired directly at the ear hole of the Romine’s helmet, which the hitter barely managed to avoid. Most ballplayers are willing to tolerate retaliatory tactics within certain parameters, none of which include pitches thrown above the shoulders; there is no more universally loathed tactic in all the sport. The offering was so blatant that plate ump Vic Carapazza immediately warned both benches. This is what Sabathia had to consider as he stewed in the dugout while the Yankees batted. It’s extremely rare that an athlete has such clear and diametrically opposed options available during the course of play. Sabathia could have ignored Kittredge’s pitch, or even just brushed a Rays hitter back in response, and still have been able to cash in. Instead, he followed what he considered to be the correct path. With the score 11-0, timing didn’t matter at all. This is why, with his first pitch of the following inning, Sabathia drilled Rays catcher Jesus Sucre in the backside. He was immediately tossed, as he knew he would be, his bonus money all but forfeited on the spot. Tensions getting high as CC Sabathia is ejected after hitting a batter. CC Sabathia is 38 years old and an 18-year veteran. He came back to the Yankees this season on a one-year contract offered as much to secure his leadership as his pitching. With first-year manager Aaron Boone at the helm, the left-hander was expected to be a stabilizing force in the clubhouse. This, then, is what leaders do. Some people decry the idea of drilling a batter intentionally under any circumstance. In many instances—in response to some sort of celebration, for example, or whatever else can be considered as showing up an opponent—this is a majority opinion even within big league clubhouses. But when a pitcher deliberately puts one of your own in peril—and without question, that’s what Kittredge did to Romine—players demand response. There’s an element of macho posturing to it, but there’s more to it than that. It is a tangible consequence of a team taking liberties with an opponent, a tactic that forces the offending squad to confront its own conduct and, ideally, to act differently in the future. Hell, it’s the same thing that inspired Kittredge in the first place, except that unlike Sabathia, his response was outside the boundaries of accepted behavior. That Sabathia has earned more than $250 million over the course of his career in no way means that he sees $500,000 as anything less than a significant amount of money. It was a sacrifice on his part, made willingly and without complaint in the name of respect and clubhouse standing. If the Yankees want to do the right thing, they’ll pay him anyway. Giancarlo Has A Long Memory, And Why The Hell Shouldn’t He? Is there an unwritten rule for PTSD? That’s what it had to be, after Mike Fiers hit Giancarlo Stanton in the upper arm on Monday. It was obviously unintentional—runners were at the corners with one out in the third inning of a 1-1 game, and the right-hander had little interest in loading the bases for Gleyber Torres, who leads baseball’s best offensive team in slugging. That the pitch didn’t hurt Stanton—it bounced off his arm shield—didn’t prevent some overt feelings on his part. It was Fiers, after all, who drilled Stanton in the face in September 2014, breaking bones and ending his season. Stanton has worn a face-guard extension on his helmet ever since. So Stanton reacted with a response natural to somebody who’s been triggered: He got angry. Lingering in the batter’s box, the slugger yelled, “Get it over the plate,” at Fiers, among other choice terms. Fiers, treating the incident as he would any other mistake pitch, wanted no part of unnecessary drama. He shouted something back about not meaning to do it, with the tension lasting just long enough to draw both teams to the edges of their dugouts before Stanton finally ambled down to first. For his part, Fiers had been deeply apologetic after drilling Stanton the first time around, both to the media and via Twitter. @Giancarlo818 my thoughts and prayers are with you at this time. I feel horrible and hope for a speedy recovery. Monday, though, he was markedly less reticent. Rather than charge the mound, Stanton retaliated in the most effective fashion possible, waiting until the sixth inning, when he pounded an 0-2 Fiers curveball into the left field bleachers, punctuating the feat by taking four slow steps out of the batters box on his way to first, flipping his bat, then pointing at the mound upon crossing the plate. Some memories die hard. Now we get to see how long Fiers’ last. The teams next play in late August. The passing of good baseball men is starting to pile up. Just a day after terrible news about Kevin Towers, we learned that longtime outfielder Oscar Gamble has died at age 68. “Back then, if somebody in front of you hit a home run, you knew you were going to get drilled. I remember a lot of times that happened. “This one was unexpected because Graig didn’t hit a home run, just a little broken-bat blooper—but I got drilled anyway. It knocked the wind out of me. That happened a lot to me in that kind of situation back then, and most of the time the guy threw at the bottom part of you. They weren’t head-hunting or anything like that. It was accepted in those days. Gamble eventually made it down to first base, and played the rest of the game. Blyleven and Minnesota won, 5-4, but the Yankees eventually made it to the World Series that season, where they lost to Cincinnati’s Big Red Machine. Sign stealing in baseball is ages-old. It’s why signs exist in the first place: Teams constantly attempt to get the drop on the opposition’s communication. Sign stealing in baseball is tolerated. Pretty much every team does it to some degree, with the understanding that if somebody breaks your code, the appropriate response is more or less to simply change your signs. 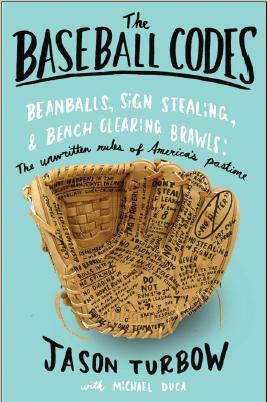 Sign stealing in baseball, as meets the above definitions, is a pursuit undertaken strictly from the field of play, with the naked eye. When teams branch out to video feeds and spyglasses in scoreboards it becomes an entirely different beast. At that point, the thievery is breaking not just the players’ unwritten code, but actual MLB rules. As detailed in The New York Times, the Yankees recently filed a complaint with the league office—complete with video evidence—which began an inquiry into Boston’s sign-stealing practices at Fenway Park. What investigators found: the Red Sox had a clubhouse-bound employee pick up opposing catchers’ signals via a video feed, then transmit them to assistant trainer Jon Jochim in the dugout via an Apple watch. Jochim relayed the information to players. The first piece of evidence New York cited occurred during the first game of a series in August, when Boston went 5-for-8 with runners at second base. Whereas players in that position are generally seen as having a good vantage point to peer into a catcher’s signals on their own, in this case they were relaying signs from the bench. Where this story takes a turn away from the legions of similar such pursuits across baseball history is that the Red Sox admitted culpability (while insisting that manager John Farrell and GM Dave Dombrowski knew nothing about the scheme). To clarify. Farrell knew players were trying to steal signs. He did not know there were devices being used. "I would have shut that down." For those who might interpret this as a symbol of illegitimacy to Boston’s lead in the American League East, well … it’s complicated. Stolen signs haven’t helped Chris Sale or Drew Pomeranz become dominating starters, and they didn’t help Rick Porcello win the Cy Young Award last year. Without knowing exactly when the Red Sox started the practice (the Times reported that it had been in place for “at least several weeks”), they are just about league average when it comes to batting average, and are dead last in home runs. They actually average more runs on the road than they do at home (4.79 per game vs. 4.66). There’s also the fact that, even though Boston went 5-for-8 with runners at second on Aug. 18 to arouse New York’s suspicions, Red Sox hitters subsequently went 4-for-16 in identical situations over the series’ final two games, hardly the stuff of intrigue. During one game at Fenway Park this year, the Tigers' bench was loud in their objections over what they felt was BOS sign-stealing. My own lingering question is that, with New York’s signs available in the dugout, why the Red Sox waited until a runner was at second base to relay them. Not only did this limit Boston’s opportunities, but placed the Red Sox at far greater risk of being caught. Much simpler would have been a verbal system such as the one Hank Greenberg enjoyed in Detroit in the 1940s, in which “All right, Hank” indicated a fastball, and “Come on, Hank” meant a curve. Other iterations have included shouts of encouragement using either a player’s first name or last name to mean different things, or a simple whistle, which Yankees pitcher Bob Turley used to notify his teammates that an upcoming pitch would be different than the one preceding it. The Red Sox responded by filing their own complaint against the Yankees, who they claimed were stealing signs at Yankee Stadium via a TV camera from the YES Network. In the 1950s, the “exploding scoreboard” at Comiskey Park housed not only a platform from which an employee with binoculars could spy on the opposing catcher, but a hidden light—visible from the plate and the home dugout, but not from the visitors’ side of the field—that flashed in accordance with the upcoming pitch. Pitchers Bob Feller and Bob Lemon, Hall of Famers both, helped set up a relay system in Cleveland in 1948 using a military-grade gun sight that Feller brought back from World War II. With it, the Indians won 19 of their final 24 games (all but four of them at home) to force a one-game playoff with the Red Sox for the AL pennant (which the Indians also won, even though it was played in Boston). In 1959, the Cubs placed traveling secretary Don Biebel and a pair of binoculars inside the Wrigley Field scoreboard. Biebel would signal hitters by placing his feet into an open frame. Also, of course, the Shot Heard ’Round the World. More recently, the Blue Jays were accused repeatedly, by numerous opponents, of similar activity at the Rogers Centre, to the point that ESPN commissioned an expansive expose on the practice. The Phillies drew the ire of multiple teams—including the Yankees, in the World Series—for their alleged ballpark shenanigans. It didn’t help that, in 2010, their bullpen coach was caught on the field with binoculars. In 2014, Chris Sale accused Victor Martinez and the Tigers of having somebody in center field. The Padres have had (probably baseless) accusations thrown their way, as have the Marlins. All of which is to say that this is nothing new. If you haven’t heard about repercussions from those other incidents, you likely won’t remember the fallout from this one either. Assuming that the Red Sox knock it off, you can expect it to quietly disappear.